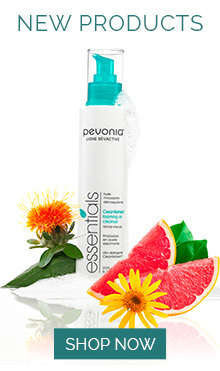 After thoroughly cleansing with the Hydrating Cleanser, wipe face and neck with a cotton moist with this Toner. Alcohol-free. For all skin types. Use morning and evening. Use once or twice a day during shower, on areas prone to cellulite. To be applied on specific body areas as needed. Add 1 to 2 scoops of bath salts under running water. Water temperature should not exceed 98°F/37°C. Relax and let stress gently melt away. Apply all over the body after shower, bath or at any time. Massage until absorbed. After thoroughly cleansing with the SpaTeen® Blemished Skin Cleanser, blot skin dry. Wipe face and neck with a cotton moist with this toner. Alcohol-free. Use morning and evening. How to Use: For soft and smooth skin, massage morning and evening on clean, dry feet. Massage a small quantity of this cream on the hands any time of day as needed. For bath: pour a small quantity under running water (water temperature should not exceed 98°F/37°C). Relax for 10 minutes. For shower: pour the gel on a damp washcloth or a damp sponge. For all skin types. Apply all over the body after shower, bath or at any time. Massage until absorbed. For all skin types.